The Vanishing Point set in Fortnite receives even more selectable style options thanks to the new Whiteout and Overtaker outfit styles. Epic Games is continuing its pattern of retroactively adding selectable styles to previously released skins in Fortnite Battle Royale. Recently, they added alternate style options to the Waypoint, Hime, and Elite Agent outfits. 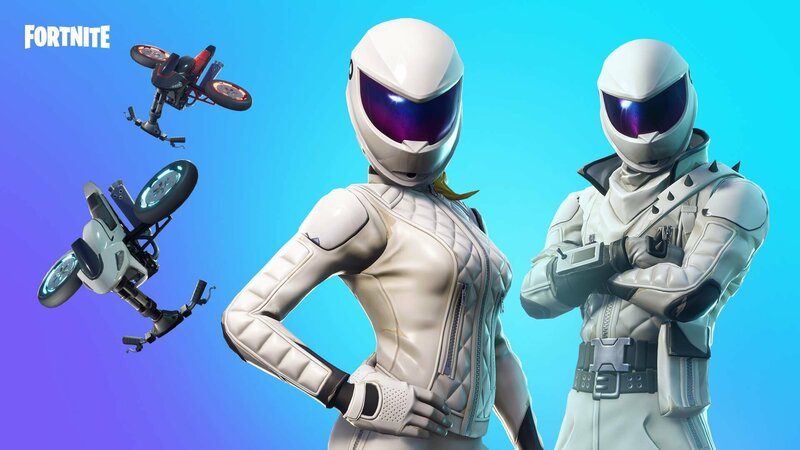 Now, owners of the Whiteout and Overtaker outfits can experience similar changes. The Vanishing Point skins are the latest outfits to get the selectable style treatment. The new style options feature the same alterations as the skins previously mentioned, primarily the ability to remove the helmet. It’s a pretty simple change, but goes a long way in the eyes of Fortnite fans. There’s something aesthetically pleasing about the fresh and clean design of a skin with no headwear obstructing the character's face. It’s been a common trend throughout the community for fans to request their favorite skins receive the option to remove the helmet. Whiteout and Overtaker are the newest additions to the club of skins with this ability. 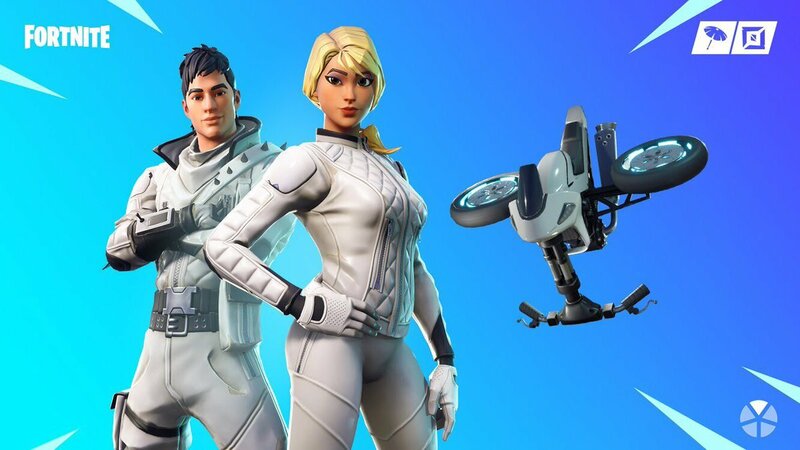 Initially releasing in August 2018, the Whiteout and Overtaker outfits are a part of the Vanishing Point set. Sporting a sleek all-white design, these motorcyclists have been fan-favorite cosmetics since they first dropped into the eager arms of players. Those who previously purchased the outfits can now change their styles in the locker tab, and those looking to acquire them can nab them from the Fortnite Item Shop for 1,500 V-Bucks. It’s always a pleasant surprise logging into Fortnite and seeing an item from your locker has received new and free customizable style options. What skin would you like to see get selectable styles next? For more on Fortnite Battle Royale, consider checking out our details about the new Reboot Van coming in update version 8.30 or the recently revealed Ruin skin.